The NuFlex is the latest edition to the Mighty Bright family that is packed full of features including extra bright warm white light through 3 energy-efficient LEDs for illumination up to 55 lumens. 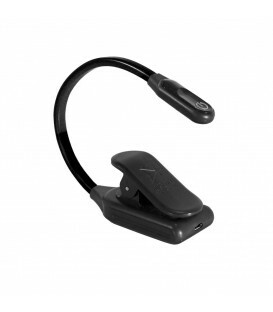 Its adjustable silicon neck provides comfort and flexibility to accommodate a variety of lighting needs. The sturdy clip is designed to be extra wide for a strong grip on multiple surfaces, including music stands, books, craft tables, engine hoods, and much more. Select your own brightness level with the press and hold continuous dimming. The WonderFlex provides reliable and evenly spread warm white light through 2 energy-efficient LEDs. 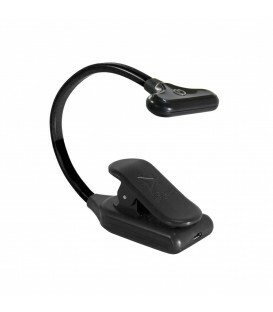 Its adjustable silicon neck provides comfort and flexibility to accommodate a variety of illumination needs. The sturdy clip is designed to be extra wide for a strong grip on multiple surfaces, including music stands, books, craft tables, engine hoods, and much more. Select your own brightness level with the press and hold continuous dimming.